A brilliant blue mixed with a light orange to a dark Brilliant Red. Shusui are a mix from mostly blue to mostly orange and every mix in between. Their blue can be anywhere from a very light blue/white to a brilliant sky blue. The orange varies between a light orange to a dark red. They should have a uniform pine cone pattern down the back. 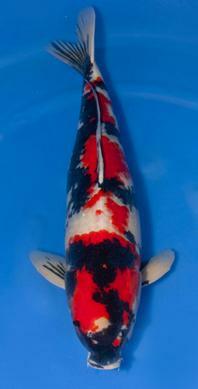 The Shusui that have a bright blue with the dark red on top are most sought after because of how beautiful they are. 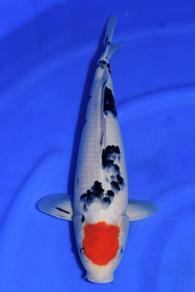 A Koi with a black body and colored accents. 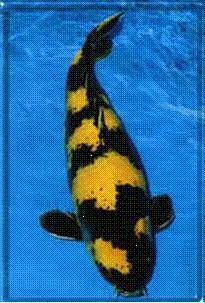 Koi will be black with orange, white or yellow. Utsuri means reflections in Japanese. The Utsuri should have inverted areas of each color. The Utsuri should have a consistent offset pattern of it’s colors with always having black on the head. 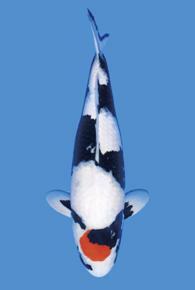 A Black bodied Koi with red and white markings. 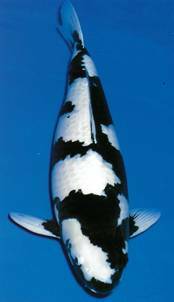 The showa will always have some black pattern on it’s head unlike a Sanke. The black is the main emphasis with the Showa and an ideal one will show all 3 colors well. A very popular based on how pretty they are with the 3 colors contrasting with each other. 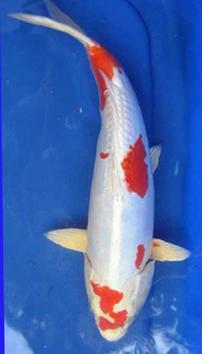 A white koi with a red – orange varying pattern. 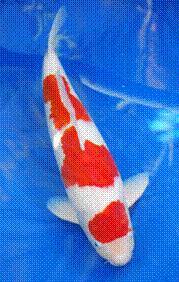 An ideal Kohaku has a very distinct color pattern and not a blended or shaded one. 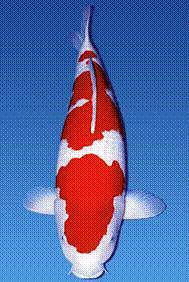 This koi should have no red on it’s fins. 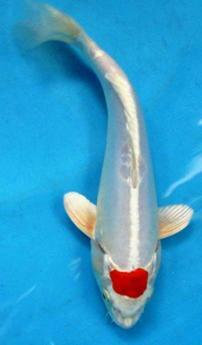 The Kohaku is most popular because of the beautiful pure white color of it’s body. 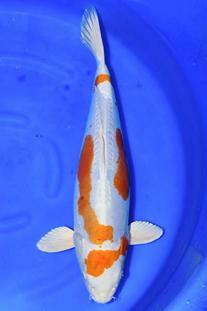 One of the oldest varieties of Koi. 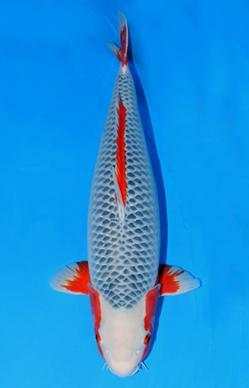 The Asagi should have a net like pattern across it with the scales. 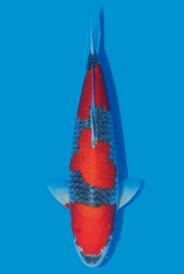 An ideal Asagi will be a light – Navy blue with a combination of red fins and some red on the body. The light blue or white head should be clear or unblemished. 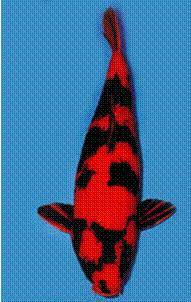 In the early 1900’s Sanke came to be from a Kohaku where black was introduced into the red and white patterns. The beauty of the Sanke lies in the depth of it’s three colors. The edges of the red and black markings should have very crisp lines against a pure white body. 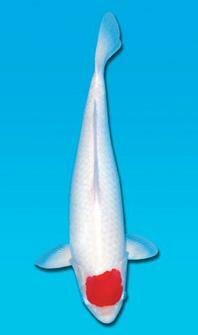 The Tascho Sanke or most referred to as just Sanke will also have white fins unlike a Showa that would have black. 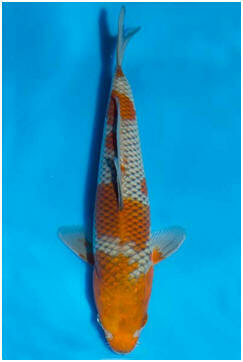 A koi that is one solid color either in a regular or metallic. 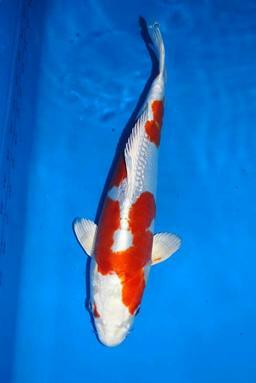 This koi can also come in a variety of colors such as: Yellow, White, Orange, Cream, Platinum, Red. 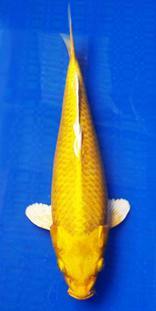 The most popular are the Bright yellow (Yamabuki), or the pure white (platinum) Ogon. 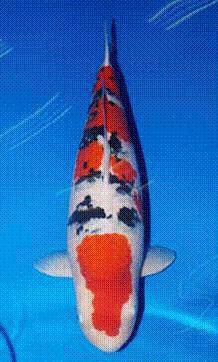 A metallic koi with a single color and reticulated scale pattern. Matsuba meaning pine cone gives these koi a pattern like no other. They come in 3 colors, the Aka Matsuba being red, the Kin Matsuba being golden, and the Gin Matsuba being white. The Aka Matsuba being the oldest of this variety grows to be guite large. 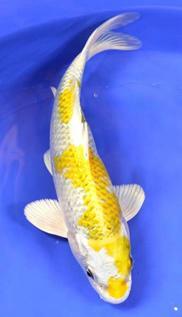 The Bekko Koi has a solid color body base in either a white, orange, or yellow. They will have a black (Sumi) stepping stone pattern down it’s back. A good qualityA good quality Bekko will have a nice balance of Sumi markings down it’s back with none on it’s head. 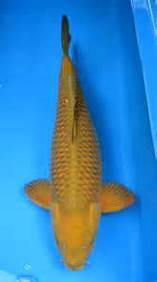 The head should be a solid color the same as the body with no variations..
Tancho do not form a single, independent kind of Nishikigo. They can appear in many forms. 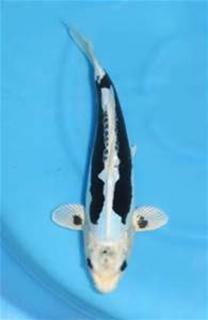 Tancho, are rare with the proper markings and are much more rare to produce. The red head patch positioned at the center of the head region is the best. The white skin is also important as it is the milky white color that sets the red head patch. The Sumi of Tancho Sanshoku and Tancho Showa are the same as Bekko and Utsuri respectively. 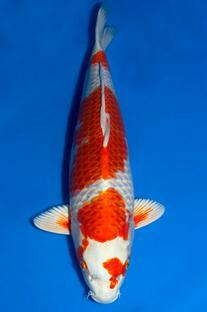 Tancho are one of the most popular and sought after varieties of koi. A koi with 5 colors. The five colors represented are white, red, blue, black, and grey. Variations would be the Gin Rin Goshiki and the Tancho Goshiki. 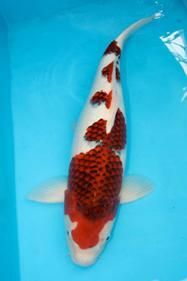 This koi originated from a cross between an Asagi and a Kohaku. The meaning of Goromo is "clothed" or "robed". 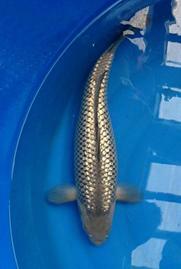 Goromo were developed by interbreeding of Kohaku and Asagi. 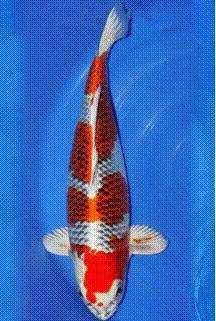 The difference between the Goshiki and the Goromo is that the Goromo has a pure white base with the Asagi-like scale reticulation showing only in the red patterned areas. 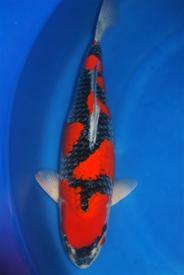 Ai Goromo refers to Goromo with a blue reticulation within the red scales. Purplish colored Goromo are referred to as Budo Goromo. 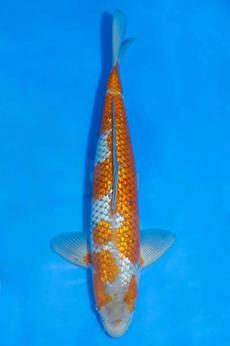 The Kujaku Koi is a metallic white koi with metallic orange markings and pinecone pattern to its scales on the back. Kujaku, meaning peacock, was first bred in 1960 by Toshio Hirasawa from a female Shusui and a male Kin Matsuba and Hariwake. 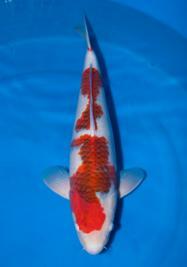 This koi gains more popularity every year more and more. 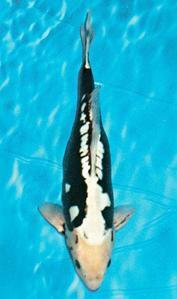 The monryu is a doitsu (scaleless) koi that has a black body with white markings. The term kumonryu means a nine-crested dragon. 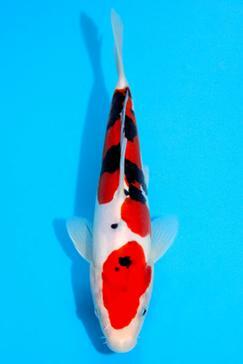 The uniqueness of this koi is that the sumi black is variable and can change throughout it’s life. 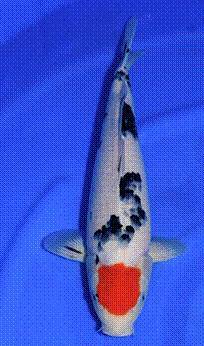 Probably the most intriguing variety of koi, Kumonryu will completely change their pattern many times throughout their life. They can go anywhere from solid white to solid black, or any conceivable combination in between. Variations of the s of the Kumonryu are the Beni Kumonryu and the Kikokuryu. The Beni Kumonryu is a cross between a Komonryu and a Kuhaku. The Kikokuryu is a metallic Kumonryu. The variations of the Kikokuryu are the Beni Kikokuryu and the Kin Ki Kikokuryu. These variations are determined by the base color, Beni being red and Ki is yellow. Haiwake display a solid metallic-white base coupled with bright, vibrant patterns of yellow or orange. The bright, luminous white of Hariwake differs from the softer, matte-white of Kohaku and Sanke. 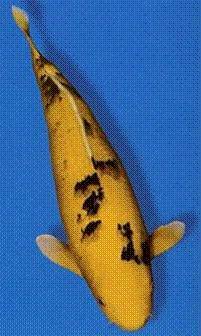 Hariwake have a bright yellow pattern are commonly referred to as Lemon Hariwake. 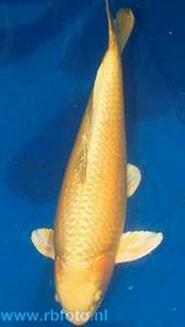 The Doitsu or scaleless version of Hariwake, a white koi with patterns of orange or yellow are commonly referred to as Kikosui. The bright, metallic colors of Hariwake are also present in Kikosui. The Ochiba Shigure means autumn leaves on the water in Japanese. 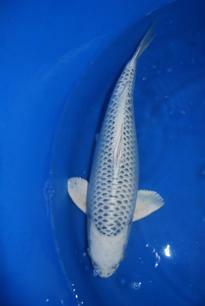 A blue grey koi with brown markings and a net like pattern. They will have a pattern that looks like leaves against their skin. 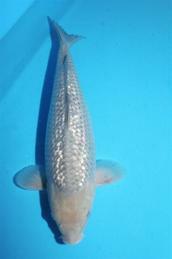 The Ochiba Shigure was developed by crossing a Soragoi and a Chagoi. 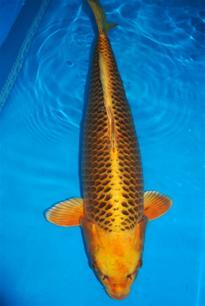 The Soragoi is a grey koi with a net like pattern while the Chagoi is a brown koi. 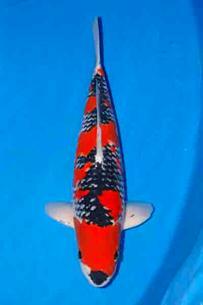 The Ochiba Shigure is a beautiful koi that has become quite popular. 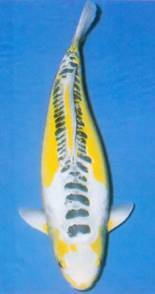 If you want a fish with personality, look no further than the basic Chagoi. 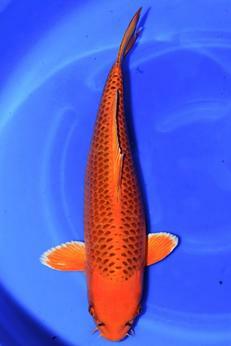 You’ll discover this pet is probably more intelligent than other koi in your pond too. 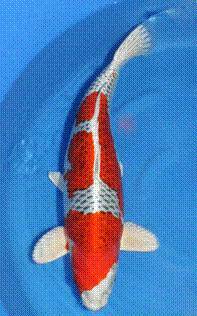 It is almost universally agreed to be the friendliest of the koi classifications because it is the most aggressive at feeding time and almost always the first fish to become hand-tame. For this reason, the Chagoi is sometimes purchased solely for the purposes of taming the rest of a group, and not for its color. Once one fish starts eating from your hand, it’s not hard to bring the rest about. Green Chagoi – Green Chagoi tend to be the friendliest of all the Chagoi color varieties. This is probably because the green Chagoi always appear to be the hungriest. 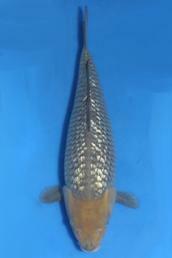 Brown Chagoi – If you have a brown Chagoi, it probably should have fukurin in it to define it from a common carp. Service Area: Wales, Milwaukee, Oshkosh, Appleton, Kenosha, Racine, Sheboygan, Mukwonago, West Allis, Grafton, Cedarburg and surrounding communities.